Beijing (VNA) – Trade volume between five countries along the Lancang - Mekong river and China’s Yunnan province surge 13.4 percent year-on-year to 81 billion yuan (12 billion USD) in 2017, according to customs of Kunming, capital of Yunnan. Notably, trade between Yunnan and Myanmar was about 42 billion yuan, accounting for 52 percent of the total figure. Cooperative works have been carried out between the regional customs authorities including information exchanges, prevention of cross-border crimes and customs procedures. The Lancang - Mekong River runs through China, Myanmar, Laos, Thailand, Cambodia and Vietnam, and serves as a natural bond linking the six countries. 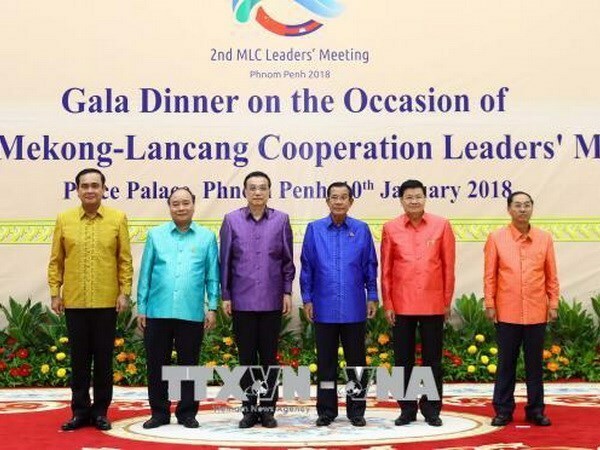 In 2016, a regional cooperation mechanism called “Mekong-Lancang Cooperation (MLC) Leaders’ Meeting” was established among those nations. At the second MLC meeting held in Phnom Penh, Cambodia, on January 10, leaders adopted the Phnom Penh Declaration and the five-year MLC action plan for 2018-2022, which feature major orientations and measures for implementing cooperation in the three pillars of security-politics, economic and sustainable development, and society, culture and people-to-people exchange.